Having long ago outgrown the confines of the English country house murder mystery, the detective has travelled widely, adapting himself to other cultures and genres. The essays presented by Peter Baker in Detecting Detection deploy cross-cultural comparisons to illuminate the many variant forms of detective narratives and to bring to the fore the moral and political functions of such narratives. Contemporary critics have become increasingly fascinated by the detective’s versatility and by the diversity of detection itself. The nine excellent essays in Detecting Detection astutely consider the reasons for the detection plot’s persistence and proliferation, exploring in detail the ways in which it has been transformed across cultures and incorporated in a variety of other narrative forms. They illuminate its ability to raise difficult questions about moral and ethical choices, guilt, political repression, personal and national trauma, witnessing, judgment and belief – and about “the elements of the global mystery of the functioning of the world and society”. Detecting Detection is one of the most thought-provoking studies of the genre to be published in recent years. Highly recommended. We indulge our fascination with detection in many ways, only some of which occur in the detective story. In fact, modern fiction regularly uses elements of a detective narrative to tell another story altogether, to engage characters, narrators, and readers with questions of identity, with examinations of moral and ethical reasoning, with critiques of social and political injustices, and with the metaphysics of meaning itself. Detective plots cross cultural and national boundaries and occur in different ways and different genres. Taken together, they suggest important contemporary understandings of who and what we are, how and what we aspire to become. Detecting Detection gathers writing from the UK, North and South America, Europe, and Asia to draw together instances of the detective plot in contemporary fiction. 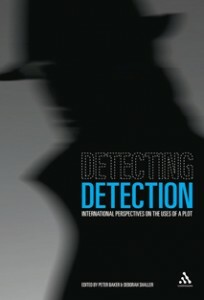 It is unique not only in addressing the theme-a recurring one in modern literature-but in tracking the interest in detectives and detection across international borders. Detecting Detection is available in paperback from Amazon and from Bloomsbury Publishing. 2. Is The Savage Detectives A Detective Story?